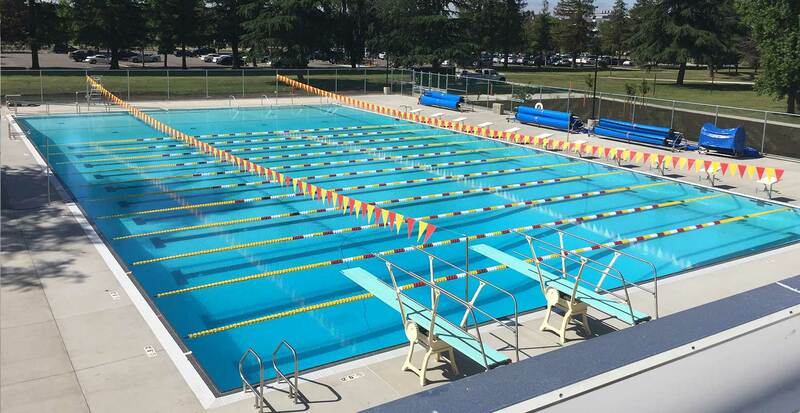 Used by both the uni­ver­si­ty and the com­mu­ni­ty, this 38-meter x 25-yard pool is designed for com­pet­i­tive swim­ming, water polo, div­ing, P.E., train­ing and teach­ing. 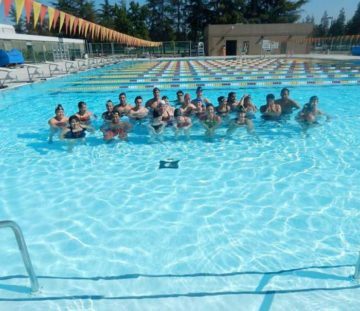 The pool fea­tures a a Body Mass Index scale and a ramp for the school’s Adap­tive P.E. pro­gram. Locat­ed at the edge of the cam­pus, the pool offers the com­mu­ni­ty con­ve­nient access. Built of stain­less steel with PVC lin­ing, this pool won’t stain or leak, and will nev­er have to be re-plas­tered.